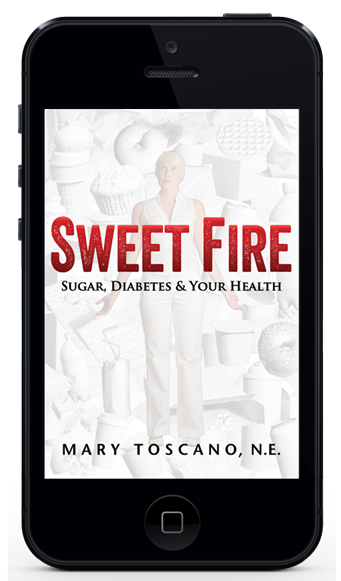 The Kindle version of Sweet Fire is here! And you don't need a Kindle to read it! Read Sweet Fire on any device! Amazon has free Kindle readers for most any device -- your PC, Mac, iPhone, iPad, etc. Get your FREE Kindle Reader here. Or just login to Amazon in your country and search for Sweet Fire. Please write an Amazon review. Tell all your family, friends and co-workers! I firmly believe the more knowledge we have, the more we can control our health. It is my mission to make this information accessible and easy to understand. 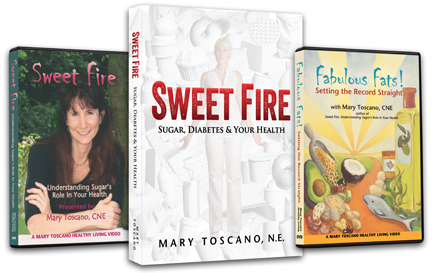 Sweet Fire is a fast way to come up to speed on sugar and what it does to the body. Once we have this knowledge we can turn around the trend towards obesity and diabetes, and become a healthy nation again. Read the Reviews & Praise. I have been teaching classes and leading monthly groups for my patients with diabetes and prediabetes for many years. My commitment is to read a book each month on the subject and share that with my patients. Sweet Fire is one of the most readable, understandable books that I've had the pleasure of reading in the past 4 years. I will be including this on my recommended reading list to all my patients. Blood sugar problems are the most common chronic disorder that I treat and everyone can benefit from Mary's sound advice and years of experience.